If you want solid reasons as to why you should choose Contractor 20/20 to be your advertising agency, then first check out the testimonials from our satisfied clients who have found success with our firm. We have countless clients who will vouch for our work and they are only a phone call away. What sets Contractor 20/20 apart from the competition? Bottom line: we handle everything! We handle branding, market research, pricing, key profit indicators, consulting, light telemarketing, results tracking, all kinds of promotion including radio, TV, internet, Pandora, billboards, direct mail, specialty marketing (yard signs, magnets, window thermometers, etc. ), message on hold marketing, jingles, and employee recruitment. We also have partners who are experts in sales training and overhead management. No one brings all that to the table, especially with a specialization in the home services field. We are holistic in our approach and aren’t loyal to any one form of advertising. We care about results and get results for our clients. Why should my company use Contractor 20/20 instead of local reps? Here is the easy answer: we get better results for less money! Local reps only have local experience. To find out what we know, Contractor 20/20 has invested, nationwide, millions of dollars in research. We also have decades of experience working with clients in the plumbing, heating, air, and electrical trades. Local reps are at the starting line and owe their allegiance to their station. We have only our buyer, you, in mind. Our job is to protect your rights and get you the best results. We know how to most effectively place your advertising, and we aren’t biased toward one station, only the best stations for your company. We also know how to save you money on all forms of your advertising because we know which customers we need to target and how to target them. When you use Contractor 20/20, your advertising is customized to meet your needs and budget. Contractor 20/20 has the tools, experience, and correct motives. Marketing and advertising can be a tricky environment. There is a lot of money to be made. 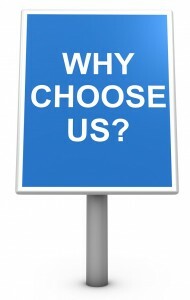 Most everyone you meet will have a convincing argument as to why they are the best choice for your advertising needs. The truth is that media sources will often manipulate data in order to convince you to use them, and it is unlikely that anyone without our level of experience will even detect that manipulation has occurred. You hire a lawyer to protect you from other lawyers. You hire a firm like us to protect you from other advertisers and media reps. We don’t have quotas to fill and we don’t get kickbacks. The only way we continue to keep you as a client and make money is if you make money. Sure, we have over 14 tools to work with that we could try to sell you on, but we know we only need 4 of them to work to get you to 22% net profit. At Contractor 20/20, we analyze your business and your market and help you make the best informed decision you can make about which tools are going to be best for your company. If you are desperate and you need business now, we have quick fix tools that are proven to get you through the dry spell. Once the desperation subsides, we have long term solutions and tools that will prevent future dry spells and help grow your business. We have the tools, experience, and the correct motives. Give us a call and let’s start the conversation.